Lego Dimensions DC Comics Wonder Woman Fun Pack was another one of the Black Friday purchases Family Friendly Gaming made. 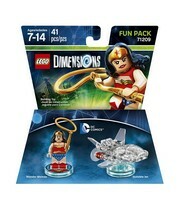 This fun pack comes with Wonder Woman and the Invisible Jet. Wonder Woman has a ton of skills. She has Acrobat, Flying, Mind Control, Laser Reflector, Invulnerability, Grapple, Boomerance, Dive, and Super Strength. A lot for one Lego Dimensions character. The figure of Wonder Woman looks like the classic Wonder Woman we know. She even has a golden lasso. Which looks like she is ready for the rodeo. The Invisible Jet is not the most stable. The base is near the back of the jet. Wonder Woman lays down with her feet facing the front while flying the Invisible Jet in Lego Dimensions. I am not sure how she sees where she is going. Lego Dimensions DC Comics Wonder Woman Fun Pack pays homage to the 1970s Wonder Woman show. We get to hear part of the theme song from that show over and over again. Yes it gets annoying really fast. Wonder Woman makes comments about sisterhood. Some might be offended by that, and even label her comments as sexist. Just trying to cover all my bases here. The jet flies really good, and Wonder Woman is useful in a variety of situations. I personally like Superman better. I did use Lego Dimensions DC Comics Wonder Woman Fun Pack to unlock some of the gold bricks in the DC Comics level area. I even used the Invisible Jet to beat the driving challenge in the DC Comics level area. That is a testament to the speed of that vehicle. It is great to see the stars and stripes back on Wonder Woman in the Lego Dimensions DC Comics Wonder Woman Fun Pack. I am not sure what invisibility gives us in Lego Dimensions. 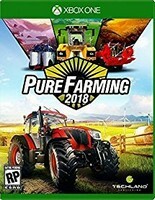 I could not get past the stealth areas with it since switches have to be flipped. The only way to do that is to get out of the Invisible Jet. Which made Wonder Woman detectable immediately.